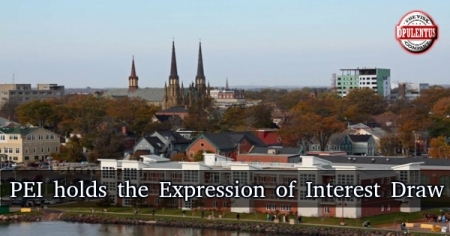 Immigration authorities of Prince Edward Island have commenced holding draws under the new Expression of Interest system of the province. There have been two rounds of invitations for the categories of Labour Impact, Express Entry as well as the Business Impact. The draw, which was conducted on March 15th, 2018, saw the invitation being issued to 79 candidates for applying. These figures included 72 invitations in the Labour Impact and Express Entry category to candidates, who were given a valid job offer from a company located in Prince Edward Island. Seven candidates received the invitation in the Business Impact category and had a score in the range between 135 and 142. For the March 15th draw, the province also published, the countries of origin, 17 in number, of the candidates, who were given the invitation to apply. Countries of Origin, on March 15 Draw were Bangladesh, the Bahamas, Brazil, China, India, Egypt, France, Israel, Iran, Italy, Pakistan, Nigeria, Taiwan, Philippines, USA, UAE, and Vietnam. This draw was the second for the year, after the first draw which was held on February 15th, 2018 in which 68 candidates were invited to apply. Of these 59 were invited in the Labour Impact and Express Entry category to candidates holding a valid job offer from a company based on the Island. Nine candidates received an invitation in the Business Impact category and had a score in the range between 117 and 140. The Express Entry category considers such candidates who are already present in the Express Entry Pool to receive the provincial nomination. This nomination grants 600 additional points to the CRS of the candidate and successfully guarantees for the issue of an ITA for immigration. Have an intention to settle in Prince Edward Island.